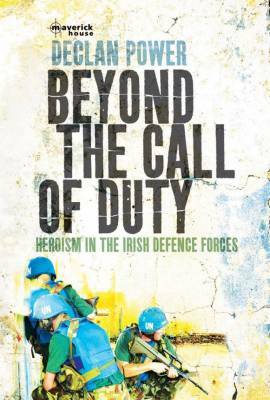 Beyond the Call of Duty: Heroism in the Irish Defence Forces, tells the stories of the forgotten heroes of the Irish Defence Forces, the recipients of the highest military honour in the State, the Military Medal for Gallantry (MMG). The MMG is awarded to soldiers in recognition of acts of exceptional bravery involving risk to life and limb. For the first time, author Declan Power recounts the stories of the soldiers who have performed acts of heroism in the most adverse situations. This is an account of stunning force and is an unforgettable reminder of the horrors of war.